Profitez de notre expertise et laissez-vous conseiller par nos experts! 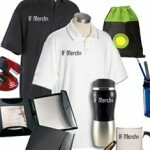 We are specialized in corporate and band merchandise. Get a quote online now. Screen printing is a printing process which uses silk screens put between the ink and a medium. The media can vary and are not necessarily made from the same material (paper, cardboard, textile, metal, glass, wood, etc.). Screen printing consists in applying a layer of thin and opaque ink on textiles (in our case) to offer a sharp and accurate replica of the image of your choice. Screen printing is an interesting solution to make short drawings or obtain a simple and effective representative item. Since 2000, we excel in this art because we make everything in house. This allows us to offer you an outstanding and fast service. Embroidery is the art of fabric decoration which involves adding to a fabric a flat or raised motif made of simple threads, and sometimes integrating materials such as glitter, pearls or others. We perpetuate this art and do so with excellence. Because we also make our embroidery in house, our service offers an elegant and professional way of presenting your image. 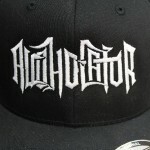 The embroidery allows you to order items per unit or custom-made. A promotional object is an object including generally the name and the logo of the brand which is offered to the customers and/or prospects. There are essentially 3 functions to the object: to please the customer to whom it is offered; to benefit from a repeated visibility with this customer; or to benefit from a possible visibility with individuals exposed to the object. Whichever one of those 3 reasons triggers your decision to make an object, the promotional object can be an ideal tool for developing customer loyalty. Our experts can help you find the object which will be better adapted to your needs. Our vast network allows us to always have the product you are looking for. 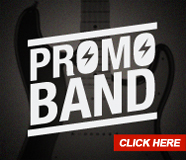 We now offer a new concept for music bands. We provide a “roadie” to set up your booth, manage your goods and inventory and record your sales. This person will sell the stock during the show and will follow you should you need support with this aspect of your business. Sublimation is a textile printing technique; it has the advantage of being resistant to washing while keeping colours bright and strong. The sublimation principle is simple; a paper tape is printed (on offset press) upside down so that the printed patterns are in the right direction once transferred onto the base textile. Paper and textile are stacked and pressed against a cylinder heated to about 210°C for a few tens of seconds. By the action of the heat, ink sticks to fabric; all that remains is to separate the paper from the fabric when removing from the machine. Sublimation printing offers an unequalled quality of contrast, intensity and depth. Colours are incredibly bright and available in a wide range, including high-density blacks. You can choose your fabric according to the quality you seek and get this service in 4 weeks (following the approval of the visual).